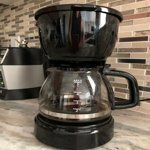 The Mr. Coffee 12-Cup Switch Coffee Maker offers classic functionality and design to keep brewing simple for coffee drinkers who want an expertly brewed cup without the fuss. Simply set it up, turn it on, and brew. If you need a cup of coffee before the brew cycle is finished, Grab-A-Cup Auto Pause stops the cycle while you fill up your cup and then resumes when the carafe is back in position. This electric coffee maker has dual water windows that let you see the exact water level as you fill to help eliminate overflows and a Lift &amp; Clean filter basket that removes easily for quick washing. The power ON/OFF indicator light shows when the coffee maker machine is on and helps remind you to shut it off when you're finished. 12-cup electric coffee maker with an easy-to-use designSimply fill with coffee and water, turn it on, and enjoy an expertly brewed cupGrab-A-Cup Auto Pause lets you pour coffee before the brew cycle is finishedLift & Clean filter basket removes effortlessly for quick cleaningDual water windows offer a clear view of water level as you fillPower light lets you know the coffee maker is on and helps remind you to turn it off when you're doneTastemaker tip: Run a cleaning cycle after every 90 uses for better tasting coffee and longer-lasting performance The Mr. Coffee 12-Cup Switch Coffee Maker offers classic functionality and design to keep brewing simple for coffee drinkers who want an expertly brewed cup without the fuss. Simply set it up, turn it on, and brew. If you need a cup of coffee before the brew cycle is finished, Grab-A-Cup Auto Pause stops the cycle while you fill up your cup and then resumes when the carafe is back in position. 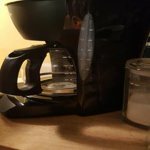 This electric coffee maker has dual water windows that let you see the exact water level as you fill to help eliminate overflows and a Lift & Clean filter basket that removes easily for quick washing. The power ON/OFF indicator light shows when the coffee maker machine is on and helps remind you to shut it off when you're finished. I purchased a week before Christmas 2016 and arrived on time. On Sale & works great. My friend loved it & is very pleased with her gift. I would by one for anyone needing a replacement or bigger pot. It's a 12 cup and pretty huge in my opinion but I'm used to a little 5 cup pot. A must have don't hesitate because of the cheap price you will not be disappointed. I read reviews & value others opinions so I hope this helps. Why can't it be cheap and good? After my 2nd $100 plus coffee maker in 2 years just died I bought this till I could do some on line research before I bought another. Well this thing is as good as any coffee maker I 've ever had. Not bitter, keeps good and hot. Think I'll buy a 1/2 dozen in case they stop making this model and my coffee pot problems are solved for the rest of my life. This makes the perfect cup of coffee, I tried others and they just don't work as well as this one. keep it clean. Don't leave it on all day. Let the pot cool before washing and should last a long time. Its better to make two half pots than one full pot, your coffee will taste better. Still the best coffee maker around for the price. 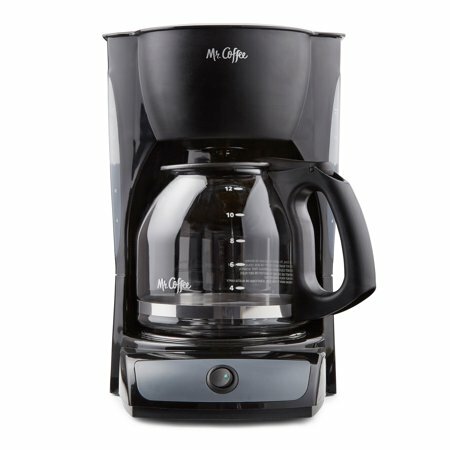 I have purchased many, many coffee makers over the years and the Mr. Coffee generally lasts the longest. I recommend if you want the most longevity, get a plain coffee maker without any of the fancy electronics to go out, no clock to reset every time the poser goes out, etc. This one is very simple, just an on off switch, which I prefer. (I hate having to keep re-starting the coffee pot, or forgetting to and finding the entire carafe cold because I forgot to reset the auto-off again. 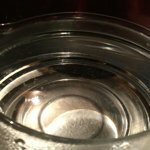 Mr. Coffee also has a large wide-open water reservoir to fill easily on a sleepy morning without pouring water all over! 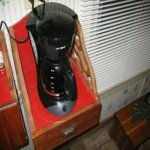 All coffee makers have a badly manufactured brewer from time to time, but you are generally safer going with the Mr. Coffee if you want something inexpensive, yet still reasonable good quality. Easy to setup and use. Simple to use, my retired parents have no use for a programmed coffee maker - so why pay the extra money. 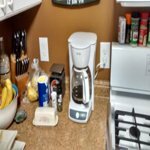 They love this coffee maker - it's fast, relatively quiet - compared to other expensive coffee makers, and makes great tasting hot coffee. Good price also. This coffee maker lasted three months of me using it. One morning I started brewing coffee and I heard a crack from my kitchen. The bottom of this coffee pot cracked. After only a few months I was disappointed to see this product break. We had an old Mr.Coffee with NO bells and whistles...it made the best coffee for at least 12 years before it quit working and we needed a new one . I buy organic beans and grind them fresh and I pour off the first 4 cups of coffee for the richest and most delicious coffee . So when choosing a new coffee pot I looked for the same no frills Mr. Coffee . This new one makes hot brown water !! The water runs through the grounds so fast that it cannot pick up the good coffee flavor ....I was so disappointed . I experimented with it for a week ...packing the grounds etc. ...but still only hot brown water . I realize now that good coffee is all about how the water drips through the grounds .... wish it was easy to find a good coffee maker. I am still looking . I bought this a week ago. Didn't know that I would have this issue with a new coffee maker and threw the receipt away thinking I wouldn't need it but this thing is awful. Definitely do not buy. 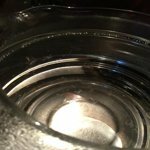 Leaves a white plastic top on your water/coffee when it's done straining threw the filter. The film even tastes like plastic in your coffee. Definitely a huge disappointment. Not worth the money or time. 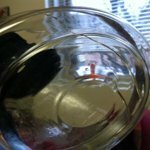 In the photos attached you can see the film starting to gather and create the film and that's just after I made a pot of hot water. Thank you for bringing this to our attention. We are extremely sorry to hear about this and even more sorry to disappoint you. Here at Mr. Coffee, we strive to make trusted household appliances that exceed expectations. We would love to turn this experience around for you. Please give our Consumer Care Department at 1-(800) 672-6333 and we will have this addressed. For your convenience, we are available Monday-Friday, 9am-6pm EST. We look forward to assisting you!